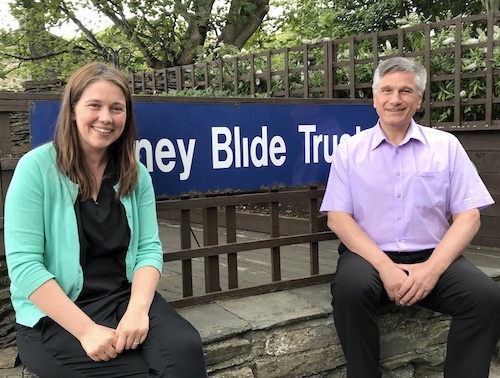 The Scottish Government’s cabinet secretary for communities and local government, Aileen Campbell with the service director with Orkney Blide Trust, Frazer Campbell. The local mental health charity, Orkney Blide Trust, will be given more than £218,000 in funding, the Scottish Government has today announced. The latest round of funding through their Social Economy Growth Fund, which is backed by the government and the European Social Fund, was announced by Communities Secretary Aileen Campbell today, during a visit to Orkney. Orkney Blide Trust is receiving a share of £4 million through the fund. This £4 million is to be divided between 22 community organisations, social enterprises and charity groups throughout Scotland. The Blide Trust has said it will be using the money to develop services and expand support for people with experience of mental ill-health. Aileen Campbell said: “The Social Economy Growth Fund enables organisations like Orkney Blide Trust to design and deliver community-led solutions to overcome poverty, disadvantage and inequalities — which is a key principle of our Fairer Scotland Action Plan. “This is about regenerating and empowering communities so they can become more resilient and find the answers to tackling inequality for long-term benefit.